G.E.Smith- the modern master of the Fender Tele! As a child during the early 1960s, George Edward “G.E.” Smith got a Telecaster guitar for his birthday one year, and never looked back. Through his six hit-making years with Hall & Oates, his decade-long run as Saturday Night Live bandleader and his touring stints with Bob Dylan, Smith is widely hailed as a modern master of the Telecaster. 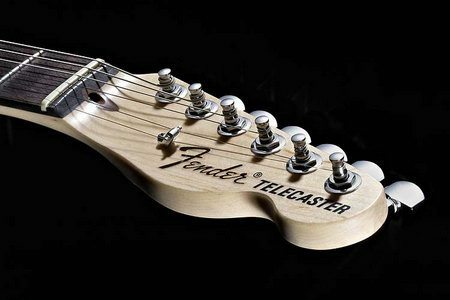 The Fender musical instruments has announced a new signature model for its 2007 lineup – the G.E. Smith Signature Telecaster, a special guitar that combines a ’40s-era Fender lap steel with a ’50s-era Telecaster. The Fender Artist G.E. Smith Telecaster Electric Guitar features a pair of American Vintage Tele Single-Coil pickups, with the bridge position sunk right into the wood – in the style of an early Champion lap steel – with other unique features including lap steel “oval and diamond” fingerboard inlays, and the Special Extra Deep “U” Shape maple neck. The revolutionary new VG Stratocaster Guitar! 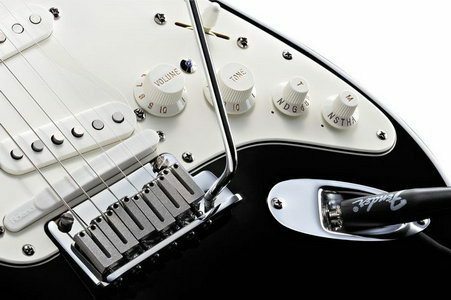 Fender and Roland® team up once again to bring you the revolutionary new VG Stratocaster guitar. The Fender American VG Stratocaster Guitar is an incredibly versatile instrument that gives you 37 different Stratocaster, Telecaster, humbucking, 12-string and acoustic sounds, plus five alternate tunings, all at the simple flip of a switch or twist of a knob. It all comes in the gracefully familiar form of an American Series Stratocaster, and it’s designed to deliver each sound with level, balanced tone and volume—no need to readjust your amp settings with each change in guitar sound. It’s a classic Strat® in every sense of the word, with a lot of extra magic, too. So simple, yet incredibly versatile! Since its introduction in the early ’50s, guitarists in all musical genres have relied on the Fender Telecaster Guitar for its powerful tone and smooth playability. Today’s Fender Standard Telecaster Left-Handed Guitar features the best of the old and the new: a fast-action maple neck, cast/sealed machine heads, two classic single-coil pickups, and a six-saddle string-through-body bridge. Timeless. Since its introduction in the early ’50s, guitarists in all musical genres have relied on the Fender Telecaster Guitar for its powerful tone and smooth playability. Today’s Fender Standard Telecaster Guitar features the best of the old and the new: a fast-action maple neck, cast/sealed machine heads, two classic single-coil pickups, and a six-saddle string-through-body bridge. Timeless. A contemporary spin on a timeless classic! 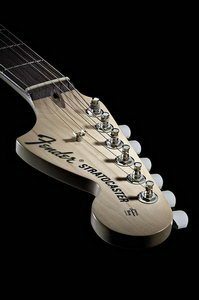 The new Aerodyne Classic Stratocaster Guitar bridges the gap between Fender’s ultra-progressive Aerodyne body profile and the vintage design of one of our most beloved and legendary models. The figured maple top with cream binding and choice of eye-catching transparent finishes (see below) take the Aerodyne concept to a new place, creating a stylistically modern but more comfortable and traditional aesthetic. The Aerodyne Classic Stratocaster Guitar features include a basswood body, C-shaped maple neck with 7.25”-radius 22-fret rosewood fingerboard and matching painted headstock, three-ply mint-green Stratocaster pickguard, chrome hardware and aged plastic parts, Fender/Ping® vintage-style tuning machines and a vintage-style synchronized tremolo bridge. The Highway One is upgraded for 2006! The Highway One series is upgraded for 2006! Super-size frets, ’70s styling, new alnico pickups and new colors take this amazing guitar to the next level. The new pickups on the Fender Highway One Telecaster (Upgrade) Guitar produce a more round tone that can sound glassy and great with high gain. The thin nitrocellulose lacquer finish lets the body wood’s natural tone shine through, making for one of the most exciting new instruments in the Fender family! One of the most exciting new instruments in the Fender family! The new neck and middle position pickups on the Fender Highway One Stratocaster HSS Guitar produce a more round tone that can sound glassy and great with high gain. The thin nitrocellulose lacquer finish lets the body wood’s natural tone shine through, making for one of the most exciting new instruments in the Fender family! The new pickups on the Fender Highway One Stratocaster Guitar produce a more round tone that can sound glassy and great with high gain. The thin nitrocellulose lacquer finish lets the body wood’s natural tone shine through, making for one of the most exciting new instruments in the Fender family! With their years of building experience, our Custom Shop craftsmen created a “dream list” of specs, and this customized ’50s-style Telecaster guitar— designed by Master Builder Chris Fleming —has it all! The Fender Classic Player Baja Telecaster Guitar comes with special features that include a soft V-shaped neck, custom pickups with four-way switching, knurled chrome knobs and “Custom Shop Designed” neckplate. With their years of building experience, our Custom Shop craftsmen created a “dream list” of specs, and this customized ’60s-style Stratocaster guitar— designed by Master Builder Greg Fessler —has it all! The Fender Classic Player 60s Stratocaster Guitar comes with special features that include ’69 pickups, “Custom Shop Designed” neckplate, custom two-point vintage bridge (never before offered outside the Custom Shop!) and a 12″ fingerboard radius. Designed by Fender Custom Shop Master Builder, Dennis Galuszka. 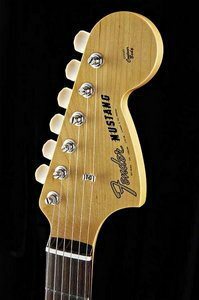 The Fender Classic Player 50s Stratocaster Guitar features an alder body, a maple neck with a 9.5 radius, 21 medium jumbo frets and Gotoh vintage-style locking tuning machines. 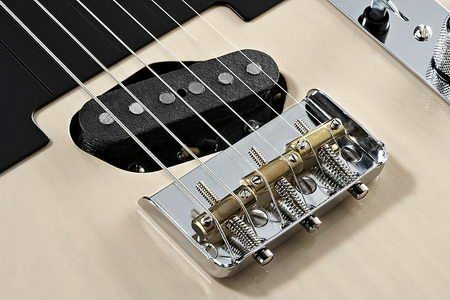 57/62 vintage-style single-coil pickups (reverse wound/reverse polarity middle pickup) with a 5-way switch and custom pickup switching offer distinct voicings, The electric guitar’s custom 2-point vintage-style tremolo along with the ZGotoh tuners let you whammy wildly while locking in your intonation. Fender is proud to reissue the Fender 65 Mustang Classic Guitar. Originally designed as a “student model,” the 65 Mustang Classic Guitar was nonetheless destined for greatness, and has been seen slung over the shoulders of great players such as David Byrne, John Frusciante, Kurt Cobain, Todd Rundgren, Graham Coxon and Adrian Belew, to name but a few. The Fender 65 Mustang Classic Guitar comes in great vintage colors (Daphne Blue, Olympic White and Dakota Red) with highly period-correct detailing. Features include a poplar body, C-shaped maple neck with 22-fret rosewood fingerboard, four-ply pickguard with classic control plate and pickguard gap, chrome hardware, Fender/Gotoh® vintage-style tuning machines with white buttons, floating bridge with “Dynamic” vibrato tailpiece, two Mustang single-coil pickups with on/off slider switch and in/out phase switch for each pickup, “F”-stamped neck plate and vintage correct headstock and bridge plate logos. A classic revived, and a real beauty at that!